BLK Super Speciality Hospital to help in capacity building of RRCEM for specialized emergency care and to help strengthen tertiary care for RRCEM. New Delhi (PRWEB UK) - The Delhi-based BLK Super Speciality Hospital has signed an MoU with Republican Research Center of Emergency Medicine (RRCEM), an Association of Emergency Physicians at Uzbekistan, to establish cultural, educational, scientific and medical cooperation in various spheres on the basis of equality and mutual benefit. RRCEM is the biggest emergency care provider in Uzbekistan. Among others, this shall pave way for development of joint international projects and research. The MoU was signed by BLK Super Speciality Hospital Director Mr Naresh Kapoor and Dr AM Khadjibayev from RRCEM. This pact will enable both hospitals to organize an exchange programme for undergraduate and post-graduate students. BLK Super Speciality Hospital will help in training and development of doctors for emergency care at the hospital in Uzbekistan. These trained doctors can then avail advanced training and observership in emergency care at the BLK Super Speciality Hospital in Delhi. “We are pleased to get into this agreement with RRCEM. We are certain that our state-of-the-art infrastructure and pool of highly talented doctors shall be able to contribute meaningfully to strengthen the capabilities of RRCEM,” said Mr Kapoor. He further added, that among other, BLK Super Speciality Hospital will help conduct master classes and specialized surgical workshops nine emergency care to expose students and doctors with high end infrastructure and expert hands. Apart from various types of cancer, patients with neuro, ortho, cardio, BMT, ITP, spine conditions travel to India. “We shall strive to develop a training programme for doctors in Uzbekistan to train them, so that they can deal with these conditions in their own country,” added Mr Kapoor. 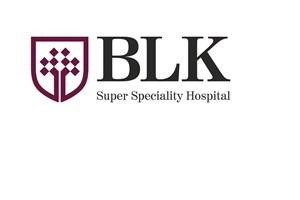 Additionally, BLK Super Speciality Hospital shall offer Residency Training Program for graduate and Postgraduate students in the areas of Cardiology, Oncology, Neurology, Orthopedics, and Bone Marrow Transplant at its premises in India, subject to the rules and provisions prescribed by Medical Council of India and other authorities. The hospital shall explore possibilities for follow-up training and capacity building activities, where feasible, as part of technical cooperation. It shall also provide training to the managers, doctors and allied health staff in order to inculcate knowledge that is necessary to manage emergency care successfully in Uzbekistan. BLK Super Specialty is one of the largest private hospitals in the National Capital Region (NCR) with a capacity of 650 beds including 125 critical care beds. The outpatient services are spread on two floors with 57 consultation rooms. All ambulatory services have been designed with the intent to create dedicated areas for all specialities with their interventional services in close vicinity. The Hospital has 17 state-of-the-art well equipped modular operation theatres with three stage air filtration and gas scavenging system to ensure patient safety. All the Operation Theatres are fitted with best in class pendants, operating lights, anesthesia work stations and advanced information management system. Therefore, whether it is the proximity of diagnostic services and blood bank to the Emergency or one of the best Endoscopy suites to ensure timely and efficient services, the infrastructure speaks about BLK’s commitment for ‘A PASSION FOR HEALING’. BLK Super Speciality Hospital is equipped with most modern infrastructure and pool of eminent experts in various Center of Excellence. Among others, the hospital has Asia’s one of the largest Bone Marrow Transplant Unit with facilities of blood irradiator. The Hospital has integrated some of the most advanced technologies for patient services which include Cyberknife VSI - Asia Pacific's first whole body robotic radio-surgery system for treatment of inoperable sub milli meter tumors; latest generation PET CT Scan machine; a TriologyTx Linear Accelerator with cone beam CT for Radiation Oncology; advanced nuclear medicine programme, Bi plane neuro interventional lab for Neuro sciences interventional programme.